Do you want to be the next featured artist like Bat Signal on LiveTrigger magazine? Hi. Tell us something about Bat Signal project and its creepy name. Bat Signal is a band that expresses the explosive feelings that rush through your veins during a Saturday night from a contemplative point of view, but always under the electric eyes of the dim lit urban skyline. Classic punk rock that combines aggression with romance and creativity with selfdestruction. On Livetrigger.com you define yourself as a punk rock band. What does it mean to be a punk rock band today? It’s just a common denominator for people to get a general idea of our musical style and attitude. We’re not really into the whole “punkier than thou” mindset, i.e. judging who is or isn’t punk. We couldn’t care less if someone says “that’s not very punk” for us, cause we don’t define ourselves as anything in particular as individuals, let alone a musical style. It’s just a wide circle of friends and acquaintances enjoying this style of music, collaborating with each other, sharing some principles and ideas. Respect should be the first and foremost (and only) rule, I think. Digging deeper than that means you’re searching answers for the wrong questions, in the wrong place, thus labeling and dividing. Anyway, it’s all been said and done before, blown well out of proportion, so let’s just say that it just means what YOU think it means. How is being a band from Thessaloniki? Tell us something about Greek musical movement? Being a band in Thessaloniki has its ups and downs, but mostly we could say that it’s a benefit. 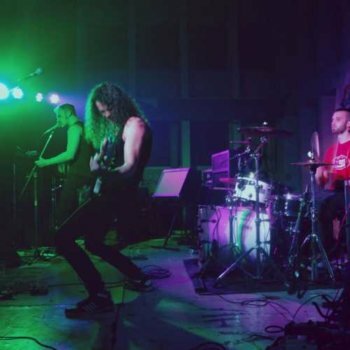 There’s a newborn interest in this type of music during the last, say, five years, because of the rise of a particular local distinguishable punk rock style, with three or four bands achieving nationwide popularity. On the other hand I wouldn’t consider us part of this local sub-genre, since it involves singing in Greek lyrics, which is a big no-no for us. Nevertheless, the fact that people are drawn to this musical style in the first place gives this whole new audience a chance to be introduced in bands like us so I guess it’s a good thing for everyone. On a national level, the general Greek movement is mainly focused on Stoner Rock right now, as some Greek bands have made quite an impact all over Europe, but we have little to do with that scene or audience. When it comes to touring, Greece is kind of isolated from central Europe so you have to pass through the Balkans, even when you’re not touring a Balkan country, but with the help of the internet, arrangements, bookings etc can be achieved if you put enough effort in it. After a certain amount of cheap wine they’re all amazing. As soon as we finish recording and producing our first full length album we’re gonna do a hell of touring. Right now we’re just doing dates in Greece. We’re definitely gonna use it in the future, so I hope it makes the whole process of booking a tour a lot easier (cause it’s so much trouble) . We will evaluate its effectiveness after that and we’ll let you know!